After the end of a long winter and oftentimes a very wet spring, summer is a welcome sight to most people in Oregon. Summer offers residents and visitors clear, blue sky days and balmy evenings. While this type of weather has a lot of people daydreaming about road trips, camping, and backpacking, work and family schedules can often prohibit getting out into nature. Fortunately, Eugene has many wonderful trails just a few miles from town that are perfect for a late-afternoon hike or relaxing walk after work. Shotgun Creek is a beautiful day-use recreation site only 24 miles northeast of Eugene. Here you can find many trails and loops among the 20 acres of developed recreation area and explore the 260 undeveloped acres, which retain their natural characteristics typical of this region. There is a lovely 4.7-mile loop that takes hikers along Shotgun Creek, through a mossy forest, and up to Drury Ridge, with Tiki Trail completing the loop. This is the perfect place to be on a warm summer’s evening, perhaps enjoying a sunset picnic along the banks of Shotgun Creek. Another scenic spot for a hike after work is the Howard Buford recreation area and Mount Pisgah Arboretum, just a few minutes outside of downtown Eugene. The few miles of trail that were established here in 1969 have since grown to a total of 4,700 acres of accessible land. For a hike with slightly undulating hills, the arboretum is the place to be. Here, there are paths along the river, under massive oak trees, and through winsome meadows, home to many species of wildflowers, bugs, and other native critters. For a more vigorous climb, the main trail to the summit of Mount Pisgah is 3 miles round-trip. The climb is worth it, as the top offers a stunning 360-degree view of the Willamette Valley, the Cascade Mountains, and the Pleasant Hill area, plus a look toward Southern Oregon. For those folks who enjoy seeing wildlife on their hikes, Elijah Bristow State Park is the perfect place to go. Only 17 miles southeast of Eugene, this 847-acre park has more than 10 miles of trail. Most of these trails are along the edge of a creek and the Middle Fork Willamette River, where you can often see osprey swooping down into the water to catch a fish. Other trails cross beautiful meadows with large, sparse trees where you could easily spot a bald eagle. Additional wildlife frequently seen at the park includes blue herons, beavers, western pond turtles, and newts. The Lost Creek loop is only 3 miles long and meanders along the banks of Lost Creek, leading hikers to the edge of the Middle Fork Willamette River, where children can play in the shallow, rocky tributary. 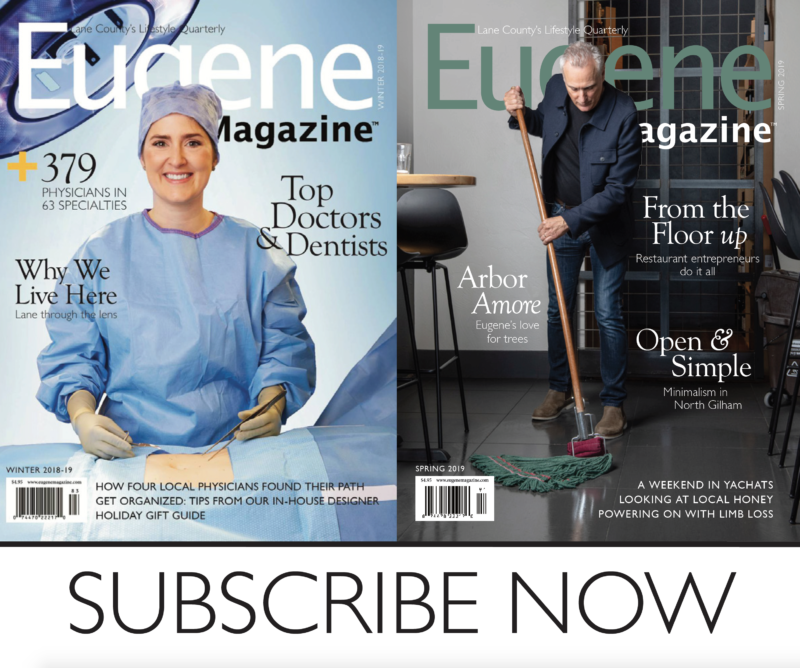 Eugene’s prime location gives its residents and visitors access to miles of hiking in stunning arboretums and state parks, and along rivers and creeks. Summer evenings are long, balmy, and beautiful, so take advantage of them by putting on some hiking shoes after work and getting outside for a hike!.